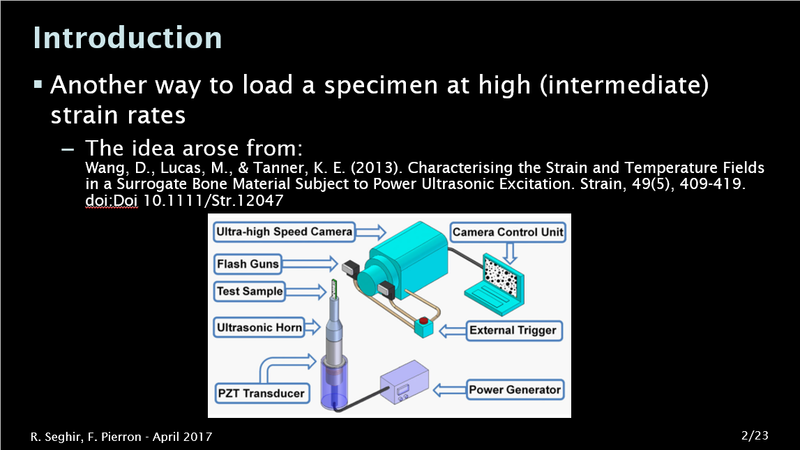 Pierron F., Addendum to “Characterising the strain and temperature fields in a surrogate bone material subject to power ultrasonic excitation”, Strain, vol. 52, n° 3, pp. 186-190, 2016. Seghir R., Pierron F., A novel imaged-based ultrasonic test to map material mechanical properties at high strain-rates, Experimental Mechanics,, vol. 58, pp. 183–206, 2018. Open access.